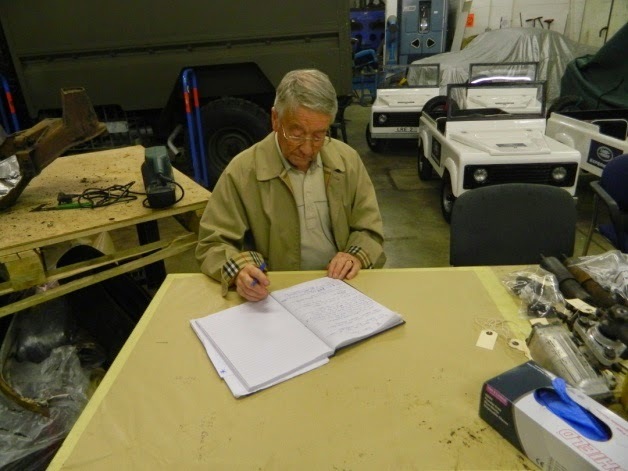 The volunteers have been fairly active recently away from our current restoration project – the 1960 Standard Ensign. Accompanying some of the Heritage Motor Centre’s collection of cars we’ve attended both the Stratford-on-Avon Festival of Motoring and the new Coventry Carfest event. Not only attending and looking after the cars, but also having the opportunity to drive them to these events. 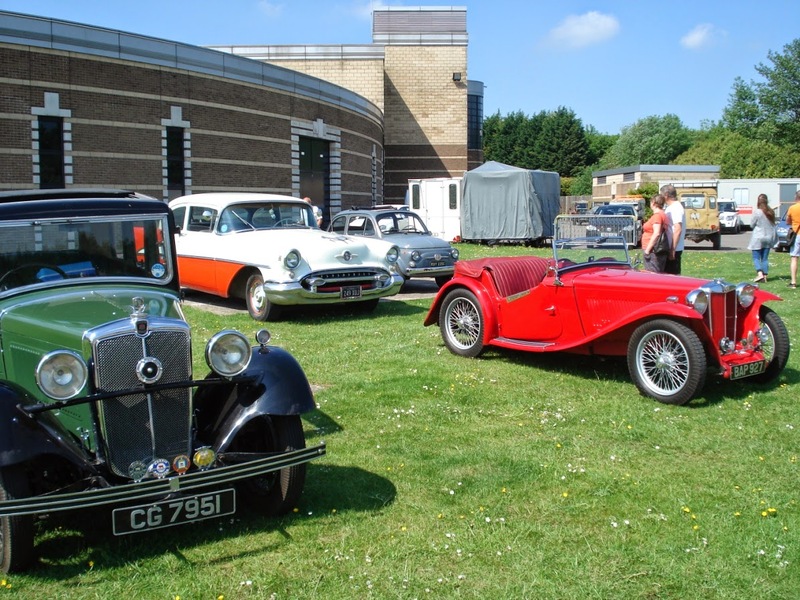 However, two events worth a more detailed mention were the Heritage Motor Centre’s 21st Birthday Party and our own Classic Car event. To celebrate the 21st anniversary of the opening of the centre, over 100 VIP guests were invited to drive, or be driven, in 21 of the collections rarest, ground breaking, historic, or just plain odd cars. The latter category included Lady Penelope’s pink 6 wheeled Thunderbirds car. Other vehicles for this Ride and Drive event were an Armstrong Siddeley Sapphire, Rover Marauder, Alvis TE21, Triumph Lynx prototype, the first Morris Minor, Paddy Hopkirk’s 1964 Monte Carlo winning Mini Cooper and the noisy 1927 Leyland Straight 8. A ballot was necessary as just seven volunteers were required to assist at this event, which meant we would be given the chance to drive some of these cars. 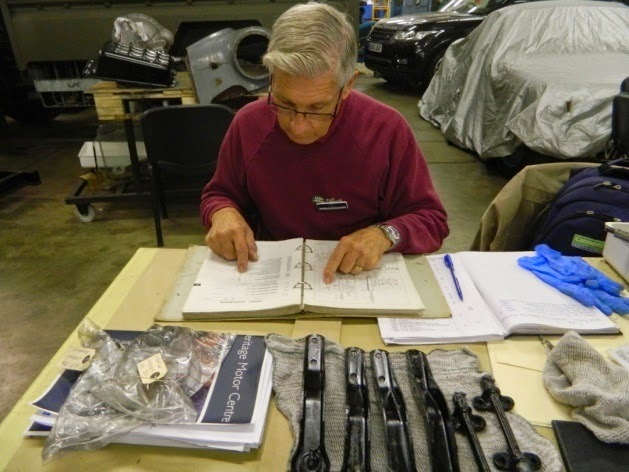 This presented the lucky ones with the challenge of learning or re-learning the art of gear changing on non synchro gearboxes and adapting to some very vague steering systems. As one volunteer Roger King remarked, his dream came true that day, as he’d been able to tick something off his bucket list – the opportunity to actually drive Hopkirk’s historic winning Mini Cooper. 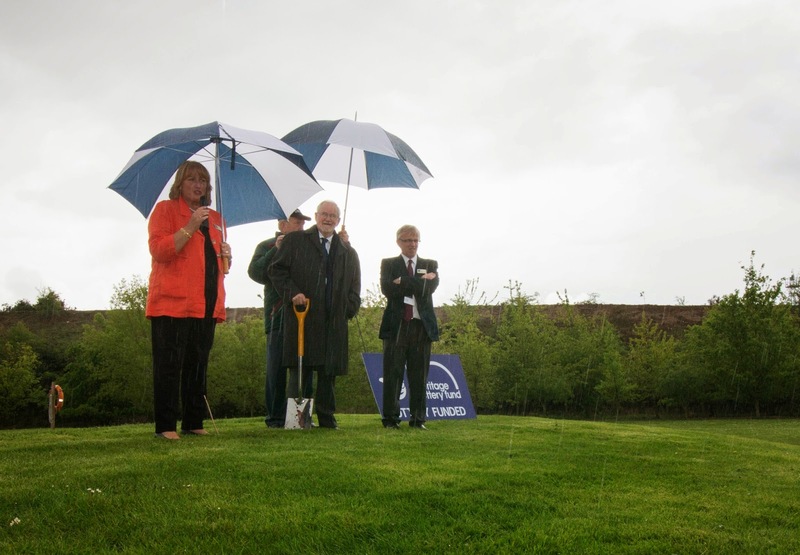 The day ended with the cutting of the first sod for the construction of the new Museum Collections Centre – something the volunteers will be a crucial part of when it opens in late 2015. Here you will find details of the 21 Years,21 Icons exhibition which is running at the museum until the end of September and well worth a look at. 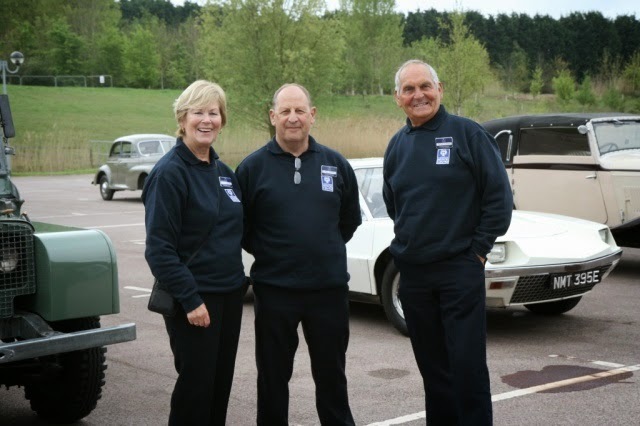 Also worth a look at was our own Classic Car event, held alongside the Gaydon Spring Classic. Around twenty volunteers brought their own classic cars to Gaydon which ranged from a tiny 1965 Fiat 500 to a large 1955 Oldsmobile 88. MGs were the most popular with a couple of TFs, a 1971 MGB, a 1955 TD and a 1938 TA. Also making an appearance was a 1955 Standard 10, a 1964 MkII Jaguar, a Ferrari 308 GTB and the oldest, a 1934 Morris 10/4. The day commenced with bacon sandwiches in the Junction 12 cafe, followed by a series of vehicle awareness tests. Well organised by Roger King and assisted by Brian Rainbow the tests provided good entertainment and a worthy winner in John Rathbone and his MG. We then set off on a 40 mile drive to Kingsbury Water Park. The route was meticulously planned by Brian Jackson who provided a full “tulip” style rally set of instructions which took us through some of Warwickshire’s best countryside. On arrival at Kingsbury we had our own area cordoned off for a welcome picnic lunch in glorious weather. Special thanks for this and the steam train rides must go to Malcolm Graham, plus a big thank you to Sonja, our co-ordinator for putting the whole day together.